Saying goodbye to your old landline phone system is never easy. Although VoIP service providers promise that setting up your new system is nothing special, you better be prepared for everything to make the transition as smooth as possible. We already have lots of articles on the use of VoIP systems and wrote thorough reviews on the market’s best cloud phone system providers, but the best way to learn the basics of VoIP and how to benefit from the big move to the cloud is by absorbing as much information as you can. 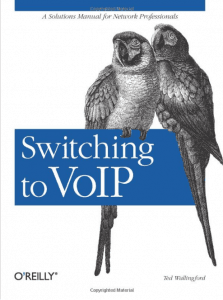 And one of the best ways of doing so is by reading books on VoIP written by experts. 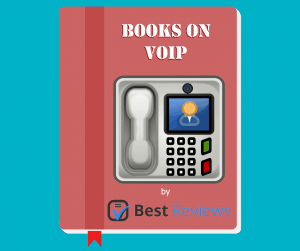 This is why we have chosen to take a closer look at a selection of three of the finest books about VoIP available on Amazon in paperback and e-book format. 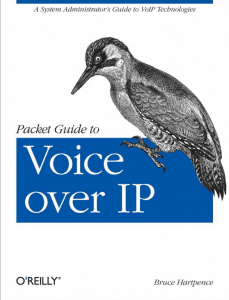 A small 244-page long guide written by Bruce Hartpence, this book is a handy introduction to the world of VoIP with which you can also broaden your knowledge of the protocols and architectures used for internet-based calls. By going through the 7 chapters of Packet Guide to Voice over IP you will learn the basics of VoIP, such as how to deploy packetized voice and video, what are the traditional telephony concepts and what lies behind SIP, Session Initiation Protocol. You can also get to know the different transport protocols VoIP systems use and the codec through which analog signals are converted into digital data. To further aid you in getting a grasp of cloud phone systems, each chapter ends with a set of review questions, followed by practical and hands-on lab exercises. This book, written by Theodore Wallingford, can be seen as a direct continuation of the previous book, as it provides you solutions to problems that might come up during the migration of your phone system to the cloud. Switching to VoIP goes into details about the pros and cons of using an internet-based phone system, how your network connection might be affected by the increased traffic and what challenges you might have to face with a cloud phone system. The 17 chapters deal with how to build your new PBX, configure the phones, and ensure the high quality of service, and how to coordinate a complete system switchover alongside the migration of complementary apps. The book also introduces different routers and media gateways, and provides advice regarding mobile device support, security, topological considerations and even how to comply with standards. How to Start a VoIP Business by Vilius Stanislovaitis is basically a Bible for those SMBs who are considering becoming providers of a VoIP-based service and have already familiarized themselves with VoIP in general. 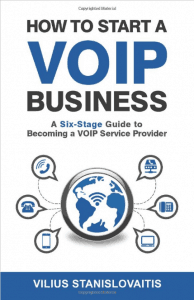 The book introduces you to telephony, and helps you pick the right VoIP service, deciding on a business model, selecting a softswitch, teaming up with the right people/companies and then launching your service. Even though the above chapters are intended to be followed in the order we have presented, you can opt for skipping some parts should you already be an expert in certain areas.